Formalized small groups aren’t for everyone. Yet, the New Testament clearly commands us to spend time with one another, motivating and encouraging one another to good works (growth). The following questions can serve as a template for two or three people to have coffee together or for a group of 15 to gather in a home. Wherever your comfort level may be, you should be spending time with believers. Use these questions and use that time to empower growth in one another. However you choose to approach God’s Word, make it the centerpiece of your time together. Hearing from God is the most important thing that can happen to you, ever. Having friends that assist you in hearing is one of the greatest blessings you can receive, ever. Whatever is going on in your life, God is doing something. He is not surprised, panicked, concerned or aloof. He IS working. Sometimes we need the counsel of others to help us accurately interpret our life’s happenings. Sharing with one another gives you a wonderful opportunity to see your circumstances from another perspective. words, am I a hypocrite? Am I a slave to dress, friends, work , or habits? Do I give it time to speak to me everyday? Is there anyone whom I fear, dislike, disown, criticize, hold resentment toward or disregard? If so, what am I going to do about it? These questions do not carry any magic. On their own, they cannot accomplish anything. 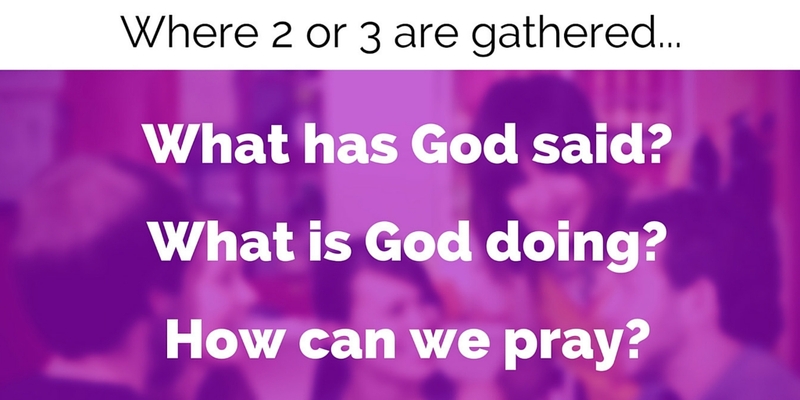 However, these questions (or others like them) can guide your group to discuss their current situations and determine how God may be working in each person’s life. This question is fairly straight forward. You should pray together. Pray for one another, pray for those you know, pray for God’s Kingdom to be expanded. If, on a regular basis, you spend time with other Christians exploring God’s Word, discussing one another’s lives and praying together; you *WILL find yourselves growing. I guarantee it. Pastor: How do you find the Sermon Sweet Spot? You can get out from under that cloud of gloom!